karthik ( Sumanth ) is an atheist , but by profession does research on ancient temples. 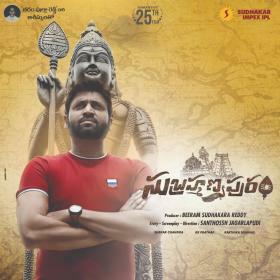 Karthik visits an ancient subramanya swami temple located in a village named Subramanyapuram. By the time Karthik enters, the villagers are traumatized with a series of suicides. Police, village head and villagers believe it is God’s wrath on them for their wrong deeds, and take no action. Karthik suspects some foul play and starts investigating the suicides. Rest of the film is about how Karthik finds the root cause, how he fights it out!